It seems everywhere you look nowadays there’s a new nootropic supplement that will supposedly revolutionize your whole life. If you’re like me, you tried nootropics with great anticipation, only to discover it wasn’t all it was hyped up to be. Several bottles later, I learned something: some nootropics which are said to boost focus are complete frauds. 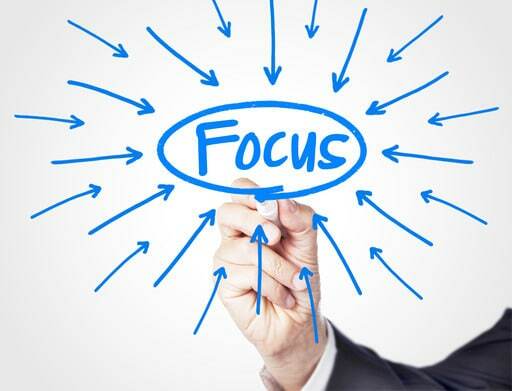 In this article, You’ll learn about the best nootropics for focus and concentration. Probably the best nootropic for focus that makes coffee worthless in comparison. Modafinil keeps you awake and alert for at least five hours. Modafinil is prescribed for narcolepsy and ADHD. Many people say it’s better than adderall and switched. Or if you want a natural alternative, try kratom. These are six dominant neurotransmitters vital for focus, alertness, memory, motivation and personal drive. You’re going to enjoy phenylpiracetam, a modified version of piracetam that can penetrate the blood-brain barrier. Now it’s stronger and more energizing. If you’re going to order just one focus aid today, let it be phenylpiracetam. There’re many nootropics which are said to enhance focus. I tried them all and nothing happened. Phenylpiracetam, the one who didn’t fail me, is no doubt one of my favorite I use for working out and productivity. It works on acetylcholine, dopamine, GABA, and NDMA receptors. This translates to improved memory and your ability to lock your thoughts on one task. Plus, phenylpiracetam can also suppress fear response. Often, subconscious fears hold you back by not allowing you to focus. Sounds strange, right? Well, that’s the power of your subconscious mind. You should use phenylpiracetam to study since your learning abilities improve, too. If you’re looking for nootropics to enhance your brain performance, look no further than phosphatidylserine (PS). Essential nootropic for neuroplasticity. Supplements is a must if you want to improve your concentration and mild ADHD. Be patient. Give phosphatidylserine at least three months to work. Noopept is a potent nootropic. Sadly, the low bioavailability can be a problem for some. Try nasal spray, which works much better than sublingually. I like noopept because the effects kick in within twenty minutes, with nasal spray it’s faster, however. Noopept can enhance glucose metabolism, the brain’s main source of energy. And stimulate neurotrophic factors, which support the growth and survival of mature and growing neurons. Neurotrophic factors are also important for the development of the visual cortex. Which might be why some people report enhanced visual perception. This process leads to better focus, memory, learning, and overall brain health. If you’ve tried noopept but haven’t seen the results you want, try the nasal spray. Or stack it with a phenylpiracetam. Oxiracetam is one of the strongest racetams with many cognitive benefits. Well known for enhancing focus and making the user stick to the task. The most notable benefits are better memory abilities and thinking skills. However, people who tried it have noticed significant improvements in concentration and motivation. Especially when stacked with phenylpiracetam and alpha gpc. It works well on its own. No stack required (besides choline). But you can, however, throw in aniracetam to get that pleasant mental clarity it offers. Pramiracetam is a derivative of piracetam made primarily for improving cognitive performance. Many people use it when cramming for an exam because it offers “clean focus and confidence.” Plus, it has shown positive results for long-term memory abilities. Pramiracetam works differently than most popular nootropics. It is absorbed into the bloodstream and then transports itself to the brain and stimulates acetylcholine. The neurotransmitter that handles your attention span and memory. Pramiracetam can also enhance cerebral blood flow. That’s good news for you, more oxygen and nutrients in your brain backfire as improved focus abilities. Using racetams? Add alpha gpc in your stack to maintain healthy choline levels in the brain. You want to do that because of two reasons. First, low levels within the brain backfire as poor concentration. Most nootropics you’ve read here if not all, stacks well with it. Secondly, choline is essential for your whole body. Plus, it gives you more energy, mental fluidity, and focus. Moreover, alpha gpc counteracts the negative side effects of strong nootropics, like headaches. Strong nootropics also tend to drain choline. L-Theanine is a relaxing amino acid that has a role in attentional processing. Combine theanine with caffeine and you’ve got yourself a clear mind. However, when I was hunting for focus pills, caffeine and l-theanine were my last hope. Personally, I got nothing out of this besides stomach discomfort. You can also drink Matcha tea, a potent green tea with high levels of theanine and caffeine. Three cups a day, minimal, if you want to improve brain function. Personally, I like phenylpiracetam. I notice that it was the only nootropic for focus that actually did something. Phosphatidylserine is another nootropic that you should take. After three months you’ll notice your focus improves. The results depends on your unique brain chemistry. But many people find that these two actually isn’t a placebo.